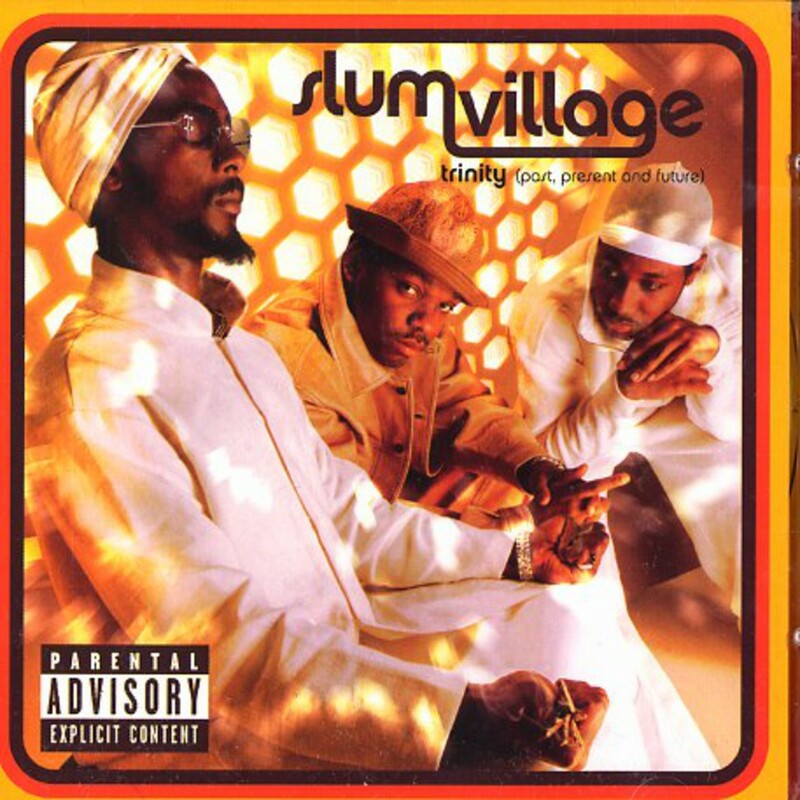 I know everyone won't agree with me on this, but I believe 100% that this was Slum Village's best album. This could be unpopular because of the love and respect people rightfully have for Jay Dilla/Jay Dee. I don't think saying this is SV's best album is anyway disregarding Dilla's contributions to Slum Village as a pioneer and historic figure in hip hop. But, if you go track by track, I think the overall quality of lyrics on Trinity (Past, Present and Future) improved exponentially with the addition of Elzhi. I also believe if Dilla stayed with SV for Trinity, the album would have obviously been a lot better. But, all of this doesn't go against my belief that this is their overall best album. When I think about it, the only track produced by Dilla was Hoes on Trinity (Past, Present and Future). The remainder was produced by Hi-Tek, Waajeed, Scot Storch, Garriem Riggins, T3, Young R.J., Sheltone "Ess" Rivers and I saw somewhere that Black Milk worked on the project, but I can't confirm that. The production team is still an amazing squad of musicians to this day! There's no doubt that Trinity took a new direction with Dilla's absence. It was more eclectic, electric, clean and it focused more on lyricism rather than relying heavily on the production as the first SV album did. While the sound changed, the soul was still present in Slum Village and there are several tracks that support this. Some may feel that the heart and soul left with Dilla, but soul and funk remained in Slum Village for this album. Also, this album was the first time I heard Dwele's soulful voice (Tainted). Many tracks are head nodders, mid tempo and offer the mc's to play off the beat more than Fantastic, Vol. 2, which was more driven by jazzy inspired production. While I don't think following video, Tainted, is the best track from the album, it does show the creative side of the group. Justin Bua obviously was the artist they collaborated and his unique eye made this a video to remember. Get Live has the ability to get people out of their seats and get a party hyped! I have been able to listen to this album over the past 9 years and the effect is still the same. Other songs like Star, What Is This?, Tainted, All-Ta-Ment, Insane, Slumber, S.O.U.L. are great examples of mid tempo songs that great for driving, headphones or a dope lounge. If you don't have Trinity (Past, Present and Future) and you love hip hop, you're welcome!